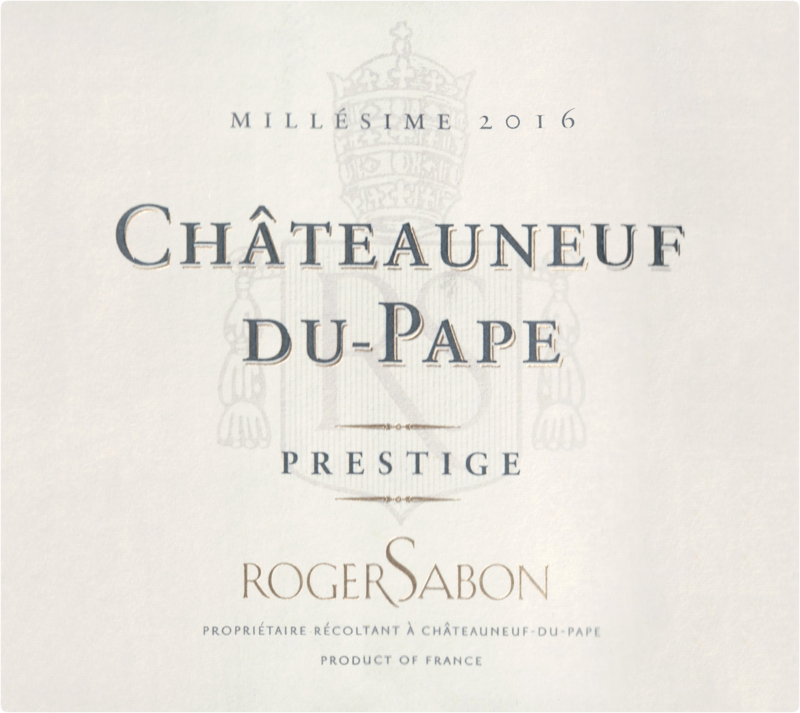 "The 2016 Châteauneuf-du-Pape Prestige checks in as 75% Grenache and the balance mostly Syrah and smaller parts of other permitted varieties. Crème de cassis, olive tapenade, smoked herbs, and licorice notes all emerge from this remarkably pure, seamless, gorgeously refined and elegant Châteauneuf-du-Pape. It shows slightly more Syrah character, has a multi-dimensional texture, and a layered, elegant style that just begs to be drunk. It can be drunk today or cellared for 15 years or more."